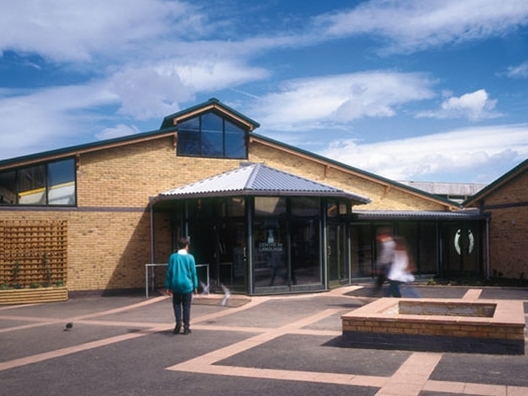 The brief was to replace 8 temporary classrooms with a permanent building that created new accommodation and also formed meaningful external spaces within the setting of the original 1930’s grammar school and sensitive conservation area. 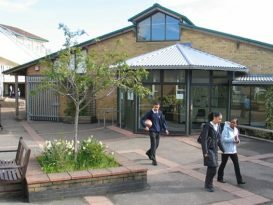 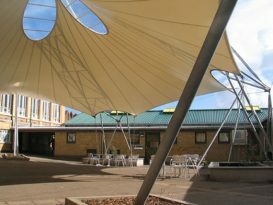 Three external courtyards, top lit classrooms and an abundance of pinboard space within was created. 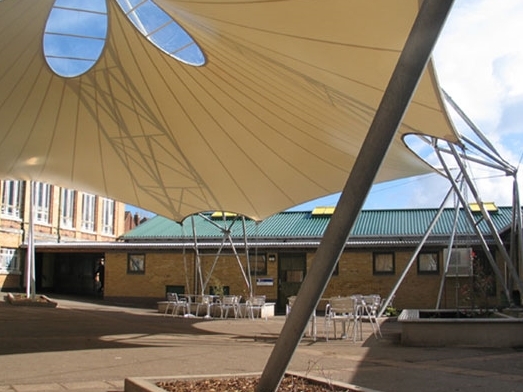 The original building was respected by using low pitched metal roofs on a new single storey composition. 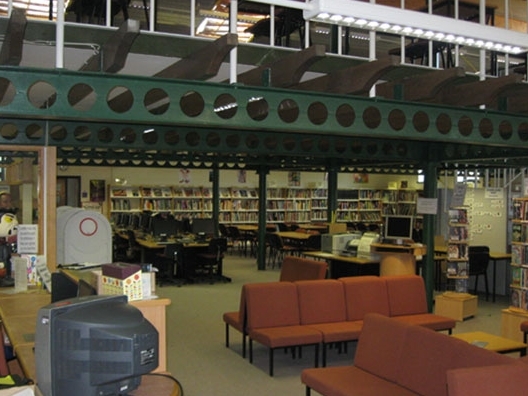 Masonry walls with timber glulam beams are expressed internally with a steel frame for the mezzanine floor in the library. Rooflights are placed over the internal walls to bounce light into the rooms giving a more defused quality of daylight.